Why the fuss with the quinoa? 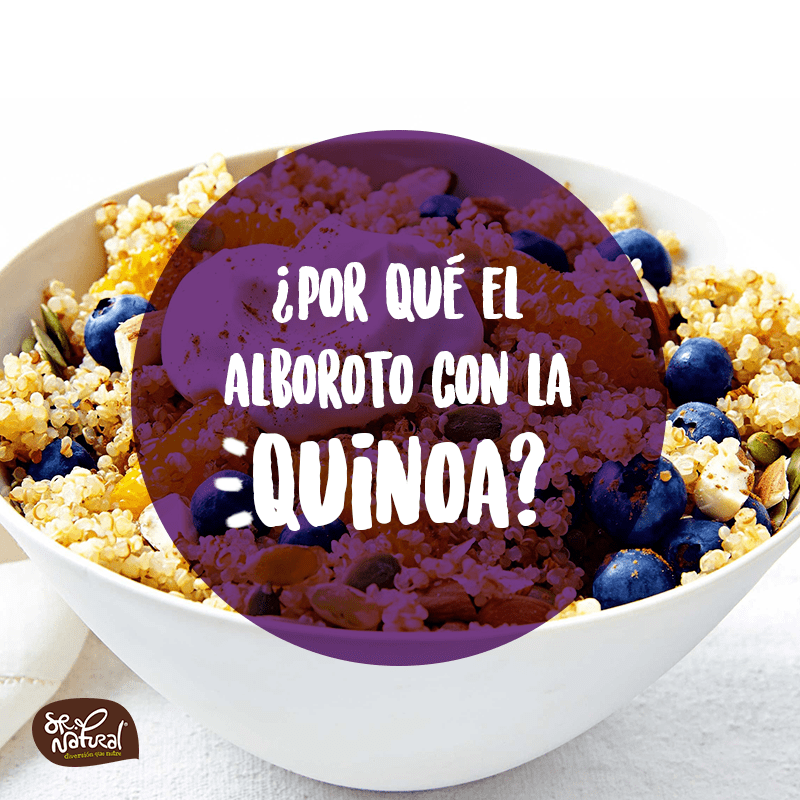 The Incas called quinoa as the mother of all cereals and considered it as a sacred food, discover why. If there is a superfood that is fashionable at the moment, that is the quinoa. Its innumerable nutritional properties make it one of the healthiest foods that exist. It is not a cereal but it is compared by its composition and its way of eating it, rather it is from the family of spinach, Swiss chard and beet. High fiber content A portion of 100g provides 7g fiber, the equivalent to 20% of the fiber we need each day. Without forgetting its benefits as fast feeling of satiety and volume to the feces. Gluten free. Useful tool for celiac or intolerant people who can not consume wheat, barley, rye and derivatives. High content of proteins of high biological value. It provides all the essential amino acids in high portions, including lysine (for proper brain development), arginine and histidine (essential for growth), methionine and cystine (cartilage formation, strengthens the nails and hair). Rich in polyunsaturated essential fatty acids such as Omega 3 and Omega 6. It is an alternative to control weight and heart diseases due to its anti-inflammatory properties. The only food of vegetable origin that has all the trace elements, minerals such as iron, magnesium, calcium, phosphorus, and vitamins C, E, B1, B2 and niacin. Powerful antioxidant. It helps stop or limit the damage caused by free radicals, contributors to the aging process. Based on all this, quinoa is a beneficial alternative to maintain your health and that of your family. And you have not read about its good acceptance, because its flavor is similar to brown rice, but its texture resembles couscous. It is optimally preserved for a long time and its preparation methods are very versatile. There are different varieties: white, red or black. Whichever it is, before cooking it, you should always wash it to eliminate the external part that makes it bitter when cooked. Once washed it can be boiled, as if it were rice. It can also be toasted and then boiled to improve its flavor. The perfect cooking time varies from color to color and is reached when each grain of quinoa has doubled its volume and releases its white germ.